Apple is celebrating its iPhone’s 10th year anniversary. 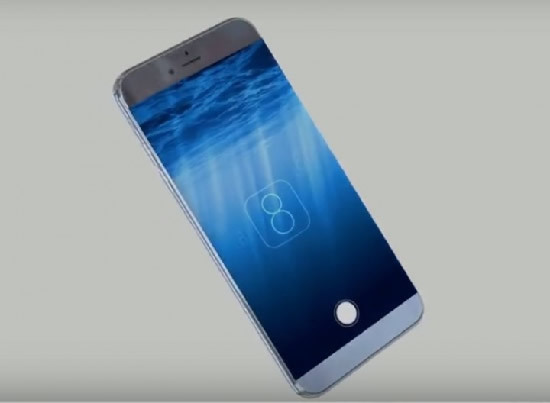 iPhone 8 is taking over the limelight this time kicking off the revolutionary entry of the next generation iPhone to the mobile market. Here are some of the specs, designs, and features that will definitely put iPhone 8 on everybody’s wish list. Apple is reportedly paid for Samsung’s OLED technology to acquire curved plastic OLED panels to be used in iPhone 8. According to Apple analyst Ming Chi-Kuo (KGI Securities), Apple’s tenth-anniversary offering is adopting the curved design trend first seen on Galaxy S7 since its using the OLED pioneered by Samsung, Indian Express reported. Apart from the curved design, iPhone 8 could be pioneering the all-glass display feature using its OLED panels. Apple has especially asked Samsung for specific specs to their orders hinting for intricate development on iPhone 8.
iOS 10.3 is reportedly seeding on Jan. 10 and the new OS is expected to deliver a Theater Mode exclusive for iPhone 8. The Theater Mode is said to be the term Apple will use to alter Dark Mode from another device because it is more advanced. A home button embedded right into the iPhone has been rumored ever since. According to 9To5 Mac, Apple already has the patent for this concept. This could be coming to the iPhone 8 new display feature. This feature will allow Apple to remove the bezels in the upcoming iPhone 8 and increase screen real-estate without increasing the size of the device. Moreover, a patent has shown Apple exploring methods of allowing fingerprint recognition almost anywhere on the screen.